Shtovba S. Design of Fuzzy Systems with MATLAB. Goryachaya Liniya - Telekom: Moscow.- 2007.- 288p. [In Russian]. Citation profile of Serhiy Shtovba in Google Scholar is here. Serhiy Shtovba is an author of >160 papers (mostly in Russian and Ukrainian). Printable list of the main scientific publications is here. Shtovba S., HalushchakA. Identification of Multifactor Dependencies by Means of Knowledge Bases. Textbook: Vinnytsia: Vinnytsia National Technical University, 2015. – 96 p.
In Ukrainian: Штовба С.Д., Галущак А.В. Ідентифікація багатофакторних залежностей за допомогою баз знань. Лабораторний практикум: електронний навчальний посібник. – Вінниця: Вінницький національний технічний університет, 2016. – 96 с.
Shtovba S., Mazurenko V.V. Intelligent Techniques for Dependences Identification. Textbook: Vinnytsia: Vinnytsia National Technical University, 2014.- 113 p.
In Ukrainian: Штовба С.Д., Мазуренко В.В. Інтелектуальні технології ідентифікації залежностей. Лабораторний практикум: електронний навчальний посібник. – Вінниця: Вінницький національний технічний університет, 2014. 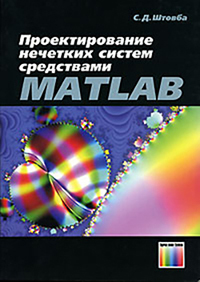 – 113 с. .
Shtovba S. Design of Fuzzy Systems with MATLAB. Goryachaya Liniya - Telekom: Moscow.- 2007.- 288 p.
In Russian: Штовба С.Д. Проектирование нечетких систем средствами MATLAB. – М.: Горячая линия – Телеком, 2007. – 288 с..
M-files for Chapter 4 of the book.). Rotshtein A., Shtovba S., Kozachko O.M. Modeling and Optimization of Multidimensinal Algorithmic Process Reliabilty. Vinnytsia: Universum-Vinnytsia, 2007. - 211 p.
In Ukrainian: Ротштейн О.П., Штовба С.Д., Козачко О.М. Моделювання та оптимізація надійності багатовимірних алгоритмічних процесів. Монографія. – Вінниця: УНІВЕРСУМ–Вінниця, 2007. – 211 с..
(Russian translation of the book ishere. Pankevich O., Shtovba S. Diagnosing Cracks in Building Constructions with Aid of Fuzzy Knowledge Bases. Vinnytsia: Universum-Vinnytsia.- 2005.- 108 p.
In Ukrainian: Панкевич О.Д., Штовба С.Д. Діагностування тріщин будівельних конструкцій за допомогою нечітких баз знань. Монографія. Вінниця: УНІВЕРСУМ–Вінниця, 2005. 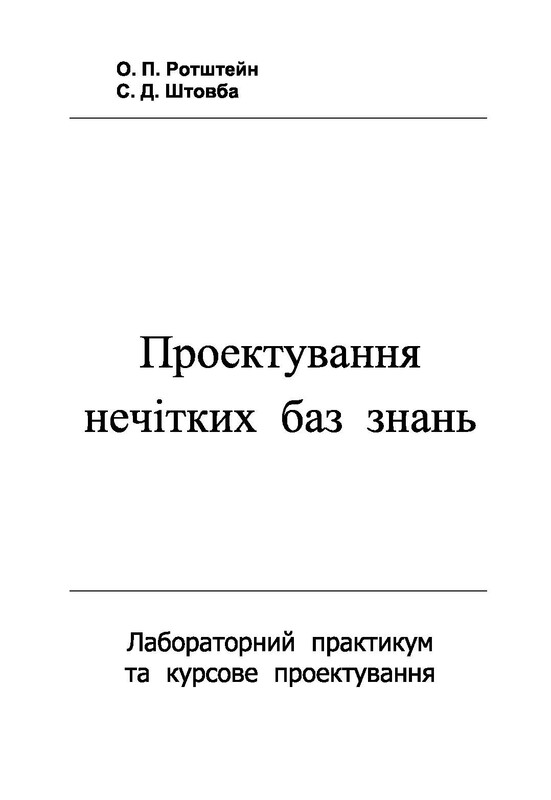 – 108 с.
Dubinenko S., Shtovba S. Introduction to Reliability of Computer-Based Information Systems. Manual. Vinnytsia: Vinnytsia State Technical University, 2002.- 64 p.
In Ukrainian: Дубіненко С.Б., Штовба С.Д. Основи теорії надійності систем управління і автоматики. Навч. посіб. Вінниця: Вінницький державний технічний університет. – 2002. 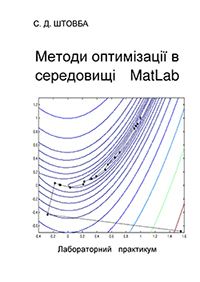 – 64 с.
Shtovba S. Optimization Methods with MATLAB. Textbook. Vinnytsia: Vinnytsia State Technical University, 2001.- 54 p.
In Ukrainian: Штовба С.Д. Методи оптимізації в середовищі MATLAB: лабораторний практикум. Навч. посіб. Вінниця: Вінницький державний технічний університет, 2001.– 54 с.
Rotshtein A. Shtovba S. Design of Fuzzy Knowledge Bases with MATLAB: Textbook. Vinnytsia: Vinnytsia State Technical University, 1999.- 65 p.
In Ukrainian: Ротштейн А.П., Штовба С.Д. Проектування нечітких баз знань: лабораторний практикум та курсове проектування. Навч. посіб. Вінниця: Вінницький державний технічний університет, 1999. 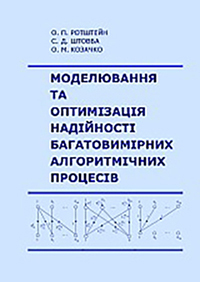 – 65 с.
Rotshtein A., Shtovba S. Fuzzy Reliability of Algorithmic Processes. Vinnitsa: Continent-PRIM. 1997.- 142 p.
In Russian: Ротштейн А.П., Штовба С.Д. Нечеткая надежность алгоритмических процессов. 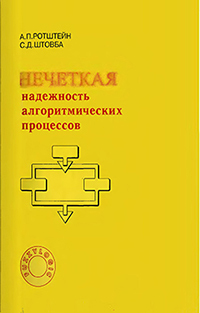 Винница: Континент-ПРИМ, 1997.– 142 с.
Shtovba S., Pankevich O., Nagorna A. Analyzing the criteria for fuzzy classifier learning // Automatic Control and Computer Sciences. – 2015. – Vol. 49, №3. – P. 123–132. Shtovba S., Shtovba E. A citation index with allowance for the implicit diffusion of scientific knowledge // Scientific and Technical Information Processing. - 2013. - Vol. 40, №3.- P. 142-145. Rotshtein A., Shtovba S. Modeling of the Human Operator Reliability with the Aid of the Sugeno Fuzzy Knowledge Base // Automation and Remote Control. - 2009 -Vol. 70, #1. - P. 163-169. Shtovba S. Fuzzy Model Tuning Based on a Training Set with Fuzzy Model Output Values // Cybernetics and Systems Analysis. - 2007. - Vol. 43, #3. - P. 334-340. Rotshtein A., Shtovba S. Genetic Optimization of Moltidimensional Technological Process // Studies in Computational Intelligence, Vol. 39 УComputational Intelligence in Reliability EngineeringФ, Part I УEvolutionary Techniques in Reliability Analysis and OptimizationФ. (Ed. G. Levitin). - Springer, 2007. - P. 287-300. Shtovba S. Ensuring Accuracy and Transparency of Mamdani Fuzzy Model in Learning by Experimental Data // Journal of Automation and Information Sciences. - 2007. - Vol. 39, #8. - P. 39-52. Shtovba S. Fuzzy Identification on the Base of Regression Models of Parametric Membership Function // Journal of Automation and Information Sciences. - 2006. - Vol. 38, #11. - P. 36-44. Shtovba S.,Shtovba O. Prediction of Competitive Position of Brand Product by Fuzzy Knowledge Base // Journal of Automation and Information Sciences. -2006. - Vol. 38, #8. - P. 69-80. Rotshtein A., Shtovba S. Identification of a Nonlinear Dependence by a Fuzzy Knowledgebase in the Case of a Fuzzy Training Set // Cybernetics and Systems Analysis. - 2006. - Vol. 42, #2. - P. 176-182. 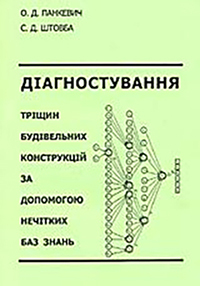 Shtovba S. Ant Algorithms: Theory and Applications // Programming and Computer Software. - 2005. - Vol. 31, #4. - P. 167-178. It is the most cited article of "Programming and Computer Software" (Springer): 53 citations in Scopus. Rotshtein A., Shtovba S. Influences of Defuzzification Methods on the Rate of Tuning a Fuzzy Model // Cybernetics and Systems Analysis. - 2002. - Vol. 38, #5. - P. 783-789. Rotshtein A., Shtovba S.,Pankevich O. Fuzzy Rule Based System for Diagnosis of Stone Construction Cracks of Buildings // International Series in Intelligent Technologies, Vol. 18: "Advances in Computational Intelligence and Learning, Methods and Applications" (Eds. : Zimmermann H-J., Tselentis G., van Someren M., Dounias G.). Dordrecht: Kluwer Academic Publishers, 2002. - P. 401-412. Rotshtein A., Shtovba S. Fuzzy Multicriteria Analysis of Variants with the Use of Paired Comparisons // Journal of Computer and Systems Sciences International. - 2001. - Vol. 40, #3. - P. 499-503. 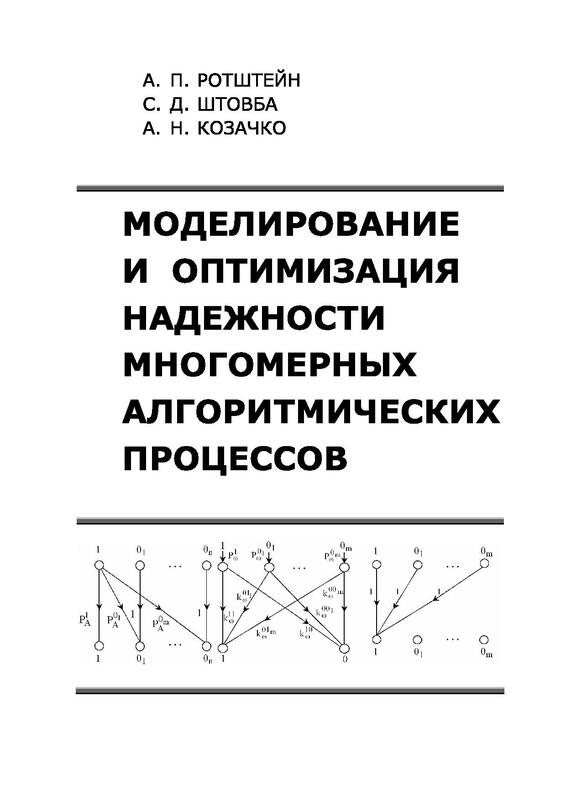 Rotshtein A., Shtovba S. Managing a Dynamic System by Means of a Fuzzy Knowledge Base // Automatic Control and Computer Sciences. - 2001. - Vol. 35, #2. - P. 16-22. Rotshtein A., Shtovba S. Prediction the Reliability of Algorithmic Processes with Fuzzy Input Data // Cybernetics and Systems Analysis. - 1998. - Vol. 34., #4. - P.545-552. Shtovba S., Galushchak A. Сomparison of learning criteria for fuzzy classifier with voting roles // Scientific Works of Vinnytsia National Technical University. – 2015. – №4. Shtovba S., Yakovenko A. Prediction of software system development efforts using a fuzzy hybrid model // Scientific Works of Vinnytsia National Technical University.- 2014. - №1. Shtovba S., Shtovba O. Simple Rational Extension of Hirsch Index // Sociology of Science and Technology.- 2013.- Vol. 4, №4.- P. 99-103. Shtovba S., Shtovba O. Sh-index – a new fractional modification of Hirsch-index // Scientific Works of Vinnytsia National Technical University. – 2011. – №3. Shtovba S., Mazurenko V., Savchuk D. Genetic algorithm for selecting roles of the fuzzy knowledge base balanced according to the accuracy and compactness criteria // Scientific Works of Vinnytsia National Technical University. – 2012. – №3. Shtovba S. Assuring reliability of algorithmic processes by soft-computing methods // Scientific Works of Vinnytsia National Technical University. – 2009. – №2. Rotshtein A., Shtovba S. Modeling of Algorithmic Process Reliability with Fuzzy Source Data // Eksploatacja i niezawodnosc (Maintenance and Reliability). – 2006. – №2.– P.40–43. Shtovba S., Kozachko O., Dounias G. A Fast Genetic Algorithm for Optimizing the Checking–Retrofit Procedures in Multidimensional Technological Processes // Штучний інтелект. – 2004. – №2.– P. 225–230. 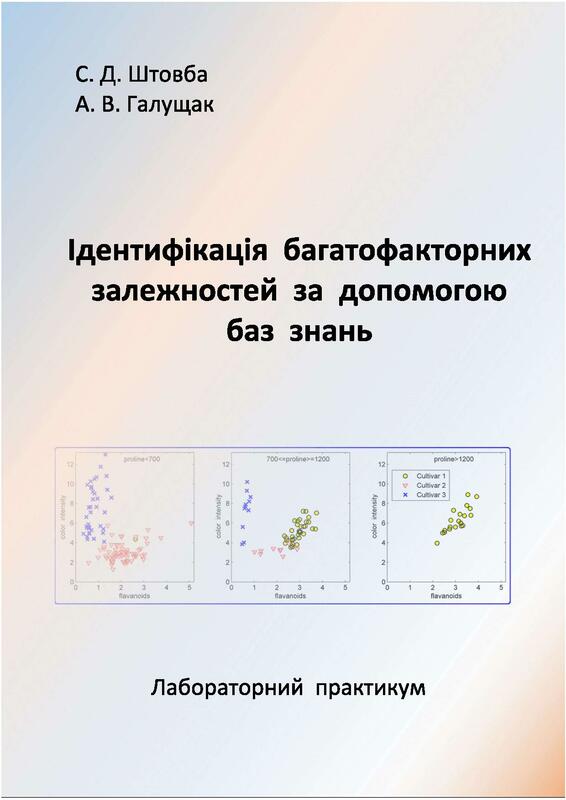 Tsakonas A., Dounias G., Shtovba S. Forecasting football match outcomes with support vector machines // Herald of Zhytomyr Engineering-Technological Institute. – 2003.- №1. P. 181–186. Rotshtein A. Shtovba S. Risk Assessing by Fuzzy Logic–Algorithmic Faolt Tree / Proc. Fifth international scientific school "Modelling and analysis of safety and risk in complex systems". Saint-Petersburg, 2005. – P. 339–343. Shtovba S., Shtovba O. A Fuzzy Role-Based Prediction the Competitive Strength Index of Brand Product // Proc. of the First Polish and Intern. PD Forum–Confernece on Computer Science "Selected Problems of Computer Science". Lodz, Bronislawow (Poland), 11–14 April 2005. – Warsaw: Academic Publishing House EXIT. – 2005. – P. 208-216. Rotshtein A., Shtovba S. Fuzzy Probability–Based Modeling the Reliability of Algorithmic Processes // In Proc. of International Symposium on Stochastic Models in Reliability, Safety, Security and Logistics. Beer Sheva (Israel), 15–17 February 2005. – Beer Sheva: Sami Shamoon College of Engineering, 2005. – P. 300–303. Shtovba S., Pankevich O. Smart Diagnosis the Structural Damages of Buildings: Fuzzy-Genetic Approach // Proc. of the XXI International Congress of Theoretical and Applied Mechanics. – 2004. – Warsaw (Poland). Shtovba S., Pankevich O., Dounias G. Tuning the Fuzzy Classification Models with Various Learning Criteria: the Case of Credit Data Classification // Proc. of Inter. Conference on Fuzzy Sets and Soft Computing in Economics and Finance. St. Petersburg (Russia), 17–20 June 2004. – Vol. 1. – St. Petersburg: Russian Fuzzy Systems Association, 2004. – P. 103–110. Rotshtein A., Shtovba S., Posner M. Optimization of a Water Purification Technological Process by Genetic Algorithms // Proc. of the Third Workshop on Binding Environmental Science and Artificial Intelligence in frame of European Conference on Artificial Intelligence. Lyon (France), 21–24 Joly 2002. Tsakonas A., Dounias G., Shtovba S., Vivdyuk V. Soft Computing–Based Result Prediction of Football Games // Proc. of the First International Conference on Inductive Modelling ICIM'2002, Lviv, Ukraine, 20-25 May 2002, Vol. 3. P. 15-21. Reimann M., Shtovba S., Nepomuceno E. A Hybrid Ant Colony Optimization and Genetic Algorithm Approach for Vehicle Routine Problems Solving // Student Papers of Complex Systems Summer School. Budapest (Hungary), 16 Joly – 10 August 2001. Santa Fe: Santa Fe Insitute, 2001. – P. 134–141. Rotshtein A., Shtovba S., Mostov I. Fuzzy Rule Based Innovation Project Estimation // Proc. of International Fuzzy Systems Association and The North American Fuzzy Information Processing Society Joint Conference (IFSA/NAFIPS), Vancouver, Canada, 2001. Shtovba S., Rotshtein A., Pankevich O. Fuzzy Rule Based System for Diagnosis of Stone Construction Cracks of Buildings // Proc. of the European Symposium on Intelligent Techniques. Aachen (Germany), 14-15 September 2000. Shtovba S., Chernovolik G. Fuzzy Rule Based System for Decision Making Support of Pathology Anatomist // Proc. of the ERUDIT-Workshop "Fuzzy Diagnostic and Therapeutic Decision Support". Vienna (Austria), 11–12 May 2000. – Wien: Osterreichische Computer Gesellschaft, 2000. – P. 45–50. 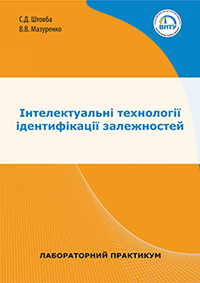 Rotshtein A., Shtovba S., Chernovolik G., Petruk V. Processing of Optical Information for Medical Decision Making Support Systems by Intelligent Techniques // Selected Papers from the International Conference on Optoelectronic Information Technologies (Eds. S.Svechnikov, V.Kojemiako and S.Kostyuukevych). Proceedings of SPIE, Vol. 4425, 2001, P. – 142–147. Rotshtein A., Shtovba S. Fuzzy Reliability Analysis and Optimization of Algorithmical Processes // In Proc. of the Fifth European Congress on Intelligent Techniques and Soft Computing.– Aachen, Germany.– 1997. – P. 67–71. Rotshtein A., Shtovba S. Fuzzy Logic–Algorithmic Faolt Tree Analysis // In Proc. of the Fourth European Congress on Intelligent Techniques and Soft Computing. Aachen, Germany. – 1996. – P. 1565–1569.